ELIZABETH, New Jersey (WABC) -- The man accused of setting off bombs in New Jersey and New York City appeared before a Manhattan judge on federal terrorism charges Thursday. 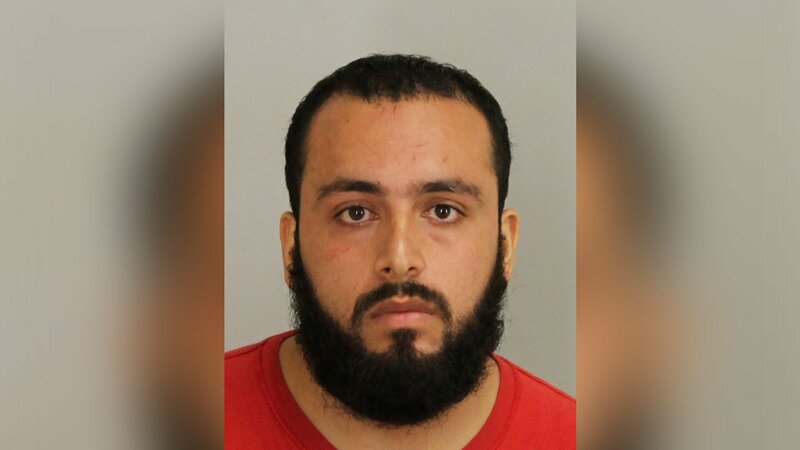 Ahmad Khan Rahimi appeared in a federal courtroom for the first time since the bombings in Chelsea and Seaside Park and did not enter a plea. He was charged with four counts, including use of weapons of mass destruction, bombing a place of public use, destruction of public property by means of fire or explosives, and use of a destructive device in a crime of violence. Rahimi walked with a limp and has substantial and lasting injuries from his encounter with police. He was not handcuffed and did not wear leg irons. He cannot close his left hand, has an open wound on his right leg and unspecified liver damage. He has had as many as 10 operations, some of them to treat a series of infections. His attorney, David Patton, expressed concerns that the medical care at the correctional facility will be insufficient, and a hearing is scheduled for next Tuesday to evaluate his care. They are awaiting the government's filing of an indictment, which could come by the end of this month. There was no bail request, so Rahimi will remain in federal custody. "He certainly plans to enter a plea of not guilty," Patton said. Rahimi is accused of detonating a pipe bomb along a Marine Corps charity race in Seaside Park and planting two pressure cooker bombs in Chelsea. No one was injured in the New Jersey blast, and 31 people were hurt in the New York blast. The second pressure cooker bomb did not explode. "Ahmad Khan Rahimi, the alleged Chelsea bomber, was brought today to Manhattan to face terrorism charges," U.S. Attorney Preet Bharara said in a statement. "Allegedly driven by a commitment to violent jihad, Rahimi planted bombs in the heart of Manhattan and in New Jersey." The Afghan-born U.S. citizen was hospitalized with gunshot wounds following a police shootout that led to his capture in Linden, N.J., on Sept. 19. Rahami was then sent to a state prison, instead of a county jail, for his safety and security. Rahimi previously pleaded not guilty to five counts of attempted murder of a police officer and weapons offenses in a video court appearance on Oct. 13. The charges are related to a shootout with police officers.